Is Tony Abbott the most boring cricket commentator? For the first, and probably the last time Prime Minister Tony Abbott joined the commentary box at the Ashes test in Sydney. PRIME Minister Tony Abbott joined the commentary box on day one of the fifth Ashes test in Sydney. Why? We’re asking ourselves the exact same question. Joining former Australian cricket players Michael Slater and Mark Taylor, Mr Abbott was clearly out of his depth. “What do you think of the ground? You like it?” Taylor asked to get the PM talking. His response was riveting. He then appeared to get his sports confused and started reminiscing about how he played 180 games for Sydney Uni rugby, along with fellow political figures Malcolm Turnbull and Joe Hockey. “There’s a certain uncompromising quality about front-row forwards, and I think that’s a good quality to have in public life,” he told viewers. 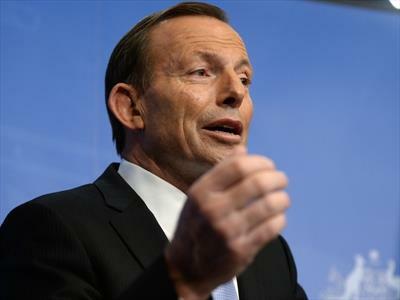 Mr Abbott also compared himself to victorious cricket captain and the nation’s favourite Michael Clarke. “In the end everyone who get’s a big promotion has got to grow into the big job. “To be candid, the jury is still out on me, because we’ve only been there for a little over three months. “But I’m confident that I’m as well prepared as anyone can be for this job.” Exactly what the Channel 9 audience wanted to hear. The perfect opportunity for Mr Abbott to commentate on the match came in the 29th over when George Bailey fell to Stuart Broad caught at slip by Alastair Cook. But Mr Abbott bored listeners once more when he praised England’s captain, describing him as an “extremely stylish man in every sense”. On twitter the response to Mr Abbott’s commentary has been less than favourable. We believe Slater and Taylor are of the same opinion, after sounding less than enthusiastic when Mr Abbott said he’d like to come to commentate back when Australia was fielding.